Find the right moving across Ontario and Quebec, it’s easy and effective! If you plan to make a move, find good movers is certainly one of the most important steps. Indeed, we know that you are looking for reliable people, competent and will handle your supplies carefully; all at an affordable price. That is why we created a movers SEO service that allows you to find the right moving company for you, wherever you are in Ontario and Quebec. This will allow you to be in touch with local movers you can evaluate bids and then choose the one that suits you best. Previously, to find a mover, it was either by word of mouth or small newspaper ads. Now thanks to the internet you can be contacted quickly and easily with several removal services that will offer you their services themselves. Just a few clicks and it’s up to you to choose. How does the system works from 5 movers quotes? Complete the submission form on our website and we will forward the information to 5 movers in your area. Please have all information regarding your current address and those of your move address (remember to have your postal code) and a telephone and email address. You should also indicate if you want a team to do the assembly of your property and if you need storage space. With these information, movers can easily assess your needs and the price they can you suggest. One benefit of this service is that you will therefore be in contact with companies offering precisely the kind of services you want. These will all local movers instead of where you move. 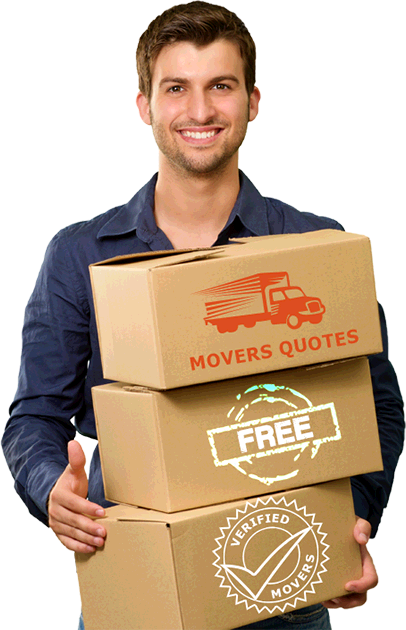 So we choose the movers with whom we put you in contact depending on your specific needs. Our movers are thorough, prompt and effective. They have the experience and expertise to make moves without worry. Your possessions are important and that’s why our removal company and the movers who work seeks to provide a combination of moving service thoroughness and efficiency. Financially, it is how to make the most advantageous for you! Indeed, movers with whom we do business throughout Ontario and Quebec know how the system works. There are 5 aware that different companies have received your quote request. So they will give you the lowest possible prices to ensure they are the one who will do business with you. It is to your advantage because you enjoy the competition in the market to get the best service at the best price. You choose who you want to do business. Indeed, it is not only a financial issue, although it is central. It is important that you are comfortable with the people who come to your home to take care of your belongings. You have to trust that they will handle delicate objects with delicacy and they will offer you a service that suits you. You do not want to deal with movers that will be one to stack your boxes anyhow, anywhere … This is even more important if these people are in contact with your family, your children. Thus, the human contact you have them is as important as the price that is offered. You will be contacted with 5 quality companies and choose the one that makes you more confident and you feel they are most in tune with your desires. No need to look movers, local movers come to you. With your submission, you can stop looking left and right for a mover. They will contact you directly, either by email or phone to discuss with you about your move, costs and answer questions by informing you on all matters relating to its preparation, its conduct, and its unloading. So you can put your time and energy in your preparations and stop looking for a mover. They will contact you and you can choose the one that will make you the best offer and you trust your removal. Maybe you ask yourself whether this system applies to your particular move? Yes, it applies. We are in contact with local movers throughout Ontario and Quebec. We cover the entire province. There are movers to every need. Whether it’s a residential or commercial move, as you move to the corner of the street or in another city, we will put you in touch with the movers that offer a service tailored to your move. The utility of this form is that you do not have to search among all the moving companies for one that can offer you the service you desire, you will be contacted only with companies that we know will meet your expectations. We offer relocation SEO service. You can complete a quote containing the address of where you move and where you move it and we will forward this information to local moving companies. Thus, you will be connected with movers in your area. We take into account the specific needs of your move, whether you need storage space, assembly of your boxes or anything. Similarly, if you make a long distance move, as Ottawa Toronto or vice versa, you will receive local movers deals offering such a service. Note that there are movers can offer such a service between any cities in the province. The 5 moving companies that we will forward your submission to contact you directly by email or by phone. So you can make your choice according to the offer that you consider the best, be it on price or quality of service. The process is very simple submit us your needs and choose a mover. With new modes of communication such as the internet, finding a mover has never been easier. Now useless to look in all the newspapers. Whether you have heard about us on Facebook or Twitter, or by a simple Google search, complete a submission to receive 5 quotes movers in Ontario and Quebec and start planning your move now!